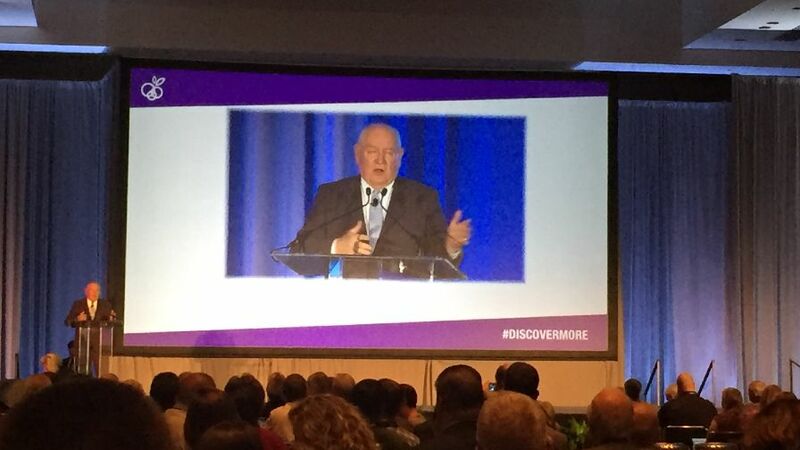 Ag Secretary Sonny Perdue expressed his support for expanding the Healthy Incentives Pilot (HIP), reforming H-2A, the need for an integrated FDA and USDA food safety inspection, and defended President Trump’s tariff wars with China and Canada during his keynote speech at United Fresh Convention in Chicago earlier this week. Now that two different versions of the farm bill passed the House and the Senate, and the two houses start the reconciliation process, Sec. Perdue is putting his weight behind two programs. The first is an expansion of the $20 million HIP, which offers financial incentives to low income families to purchase fruit and vegetables. 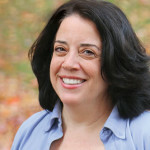 Since 2014, the program has been in pilot mode. If left intact in the final version of the bill, the program would grow to $400 million. Perdue also expressed support for FDA and USDA food inspections being rolled into one. Although President Trump is proposing to fold food safety into USDA, Sec. Perdue did not mention this specifically. Instead, he showed his support by calling for an integrated food safety inspection system that would simplify the process for growers, as well as state and local government. 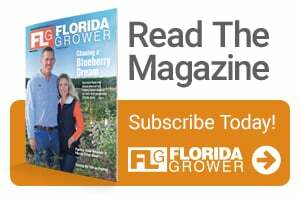 Recognizing how growers are being impacted by the tariffs imposed on agriculture by China, Europe, and Canada, Sec. Perdue defended the trade war as a way to defend farmers. He cited an incident in Iowa from a few years ago, where Chinese agents were caught trying to reverse engineer seed genetics. These kinds of theft to intellectual property is what is driving the trade wars, he claimed. “No one tried to do anything about it. Until now,” he said. Speaking prior to the House voting down the most recent immigration bill, Sec. Perdue said the fruit and vegetable industry needs a better solution for guestworkers than the “cumbersome” H-2A. He expressed a desire to streamline the guestwroker system, but acknowledged only Congress can make the changes needed to truly improve the program.